Elizabeth entered the Ph.D. program at Baylor University in the fall of 2015. She received her Bachelor's in Liberal Arts from Thomas Aquinas College. 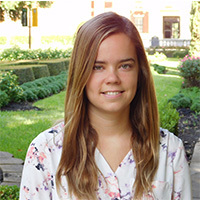 While at Baylor, Elizabeth hopes to deepen her study of political philosophy, politics and literature, politics and religion, and American political thought.